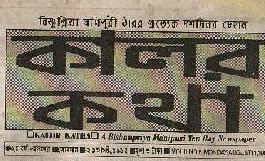 Jounalism in Bishnupriya Manipuri Language is very popular. Due to some government restrictions and complexity in registrations, many of the newpapers and jounals are published in a irregular basis. 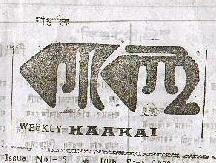 A ten day Newspaper, Assam. 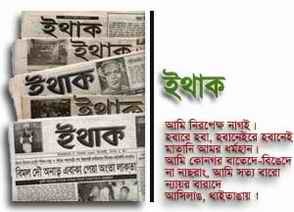 A Three monthly Magazine, Bangladesh. Last Revised june 14, 2004, Copyright 2000-2004 Ashim Singha. All rights reserved.